Oral History: June 30, 1969. 46 pages. Papers: ca. 1911-2004, approximately 1062 linear feet. 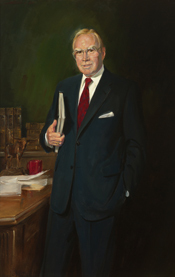 The papers of James (Jim) Wright document his career in the U.S. House of Representatives. The papers include constituent correspondence, correspondence between Wright and his colleagues, subject files, news clippings, speeches, writings, oral history, and photographs. A finding aid is available in the repository and online.